All operationalized diagnostic systems contain a diagnostic category, which corresponds to the concept of major depression. Yet, these corresponding definitions are not identical. Up to now, no comprehensive comparisons of the competing diagnoses have been published. We will therefore present a series of studies, describing six different operational definitions of major depression according to their content and construction and empirically comparing them in large inpatient and outpatient samples. 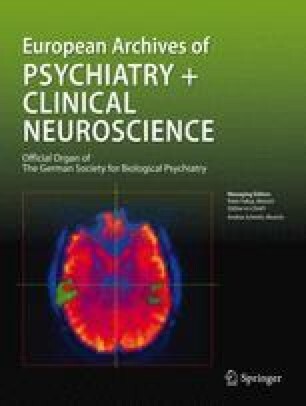 This first paper presents a descriptive comparison of the definitions given in the Feighner Diagnostic Criteria, the Research Diagnostic Criteria, the Diagnostic and Statistical Manual of Mental Disorders, third edition and third edition, revised, and in two developmental drafts of the ICD-10 diagnostic criteria for research (draft April 1987–187; draft April 1989–189). The descriptive comparison will demonstrate that there are many similarities, especially concerning the symptom-criteria of major depression. Classificatory relevance could only be assumed for those differences found for cut-offs, for time criteria and especially for exclusion criteria. Whether these differences are negligible and whether patients classified by different diagnostic systems are really comparable will be examined in subsequent publications.